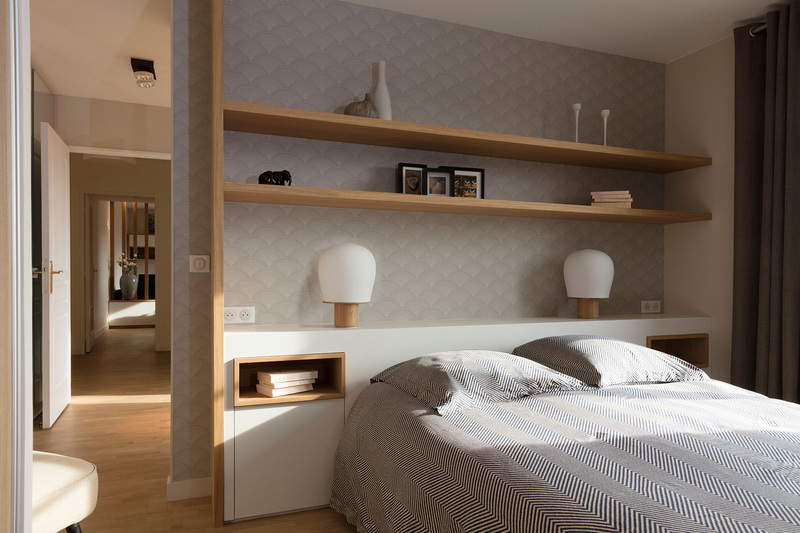 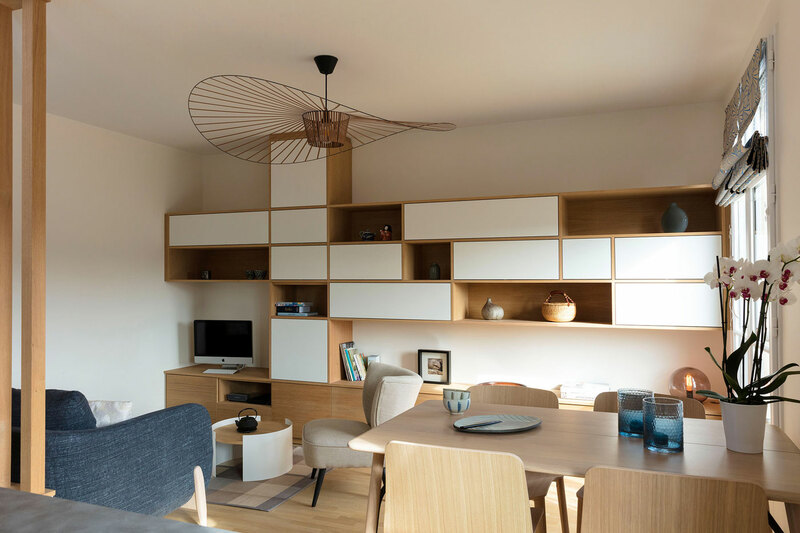 The owners of this 60m2 flat, a french-japanese couple fan of scandinavian design, wanted a new interior design and space planning in order to optimize space and storage. 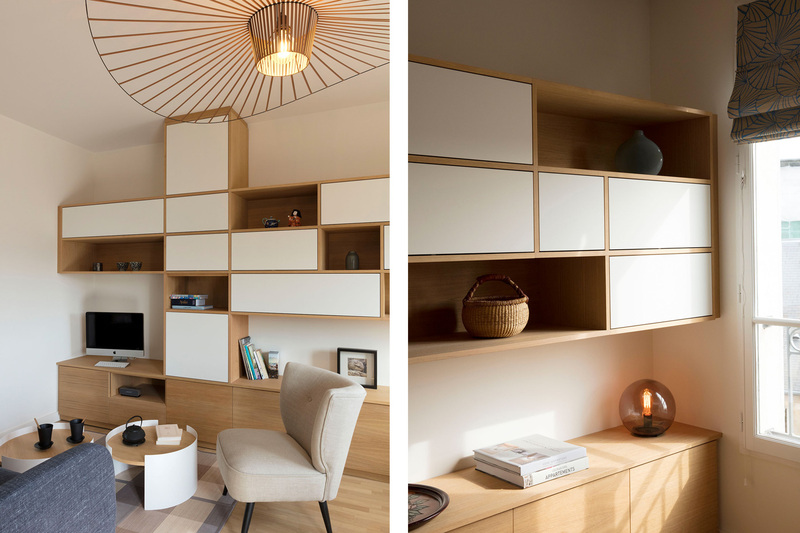 We built a bespoke library with open and closed shelves covering the entire wall of the living room, as well as a claustra separating the living room from the hall. 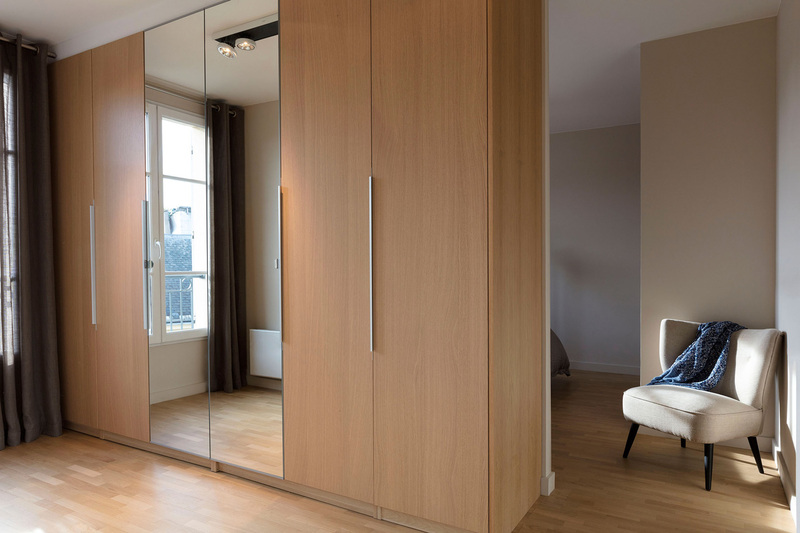 In the bedroom we built a bespoke bedhead with two shelves and a spacious walk-in closet. 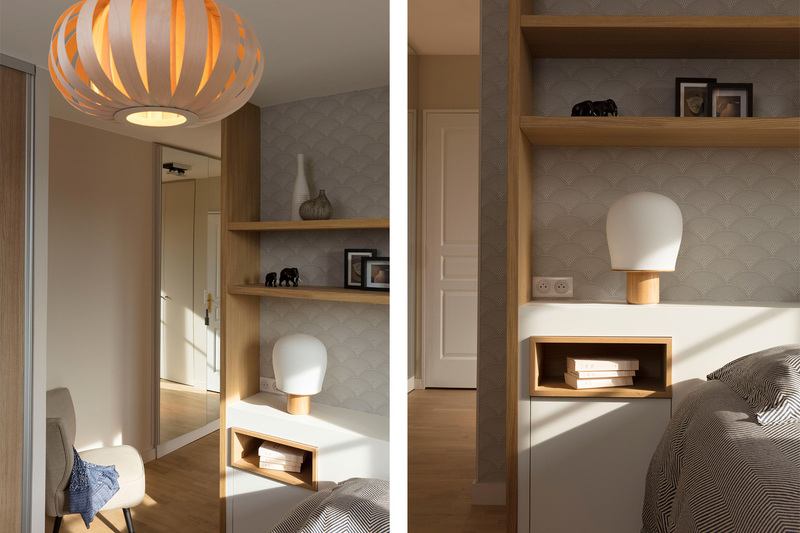 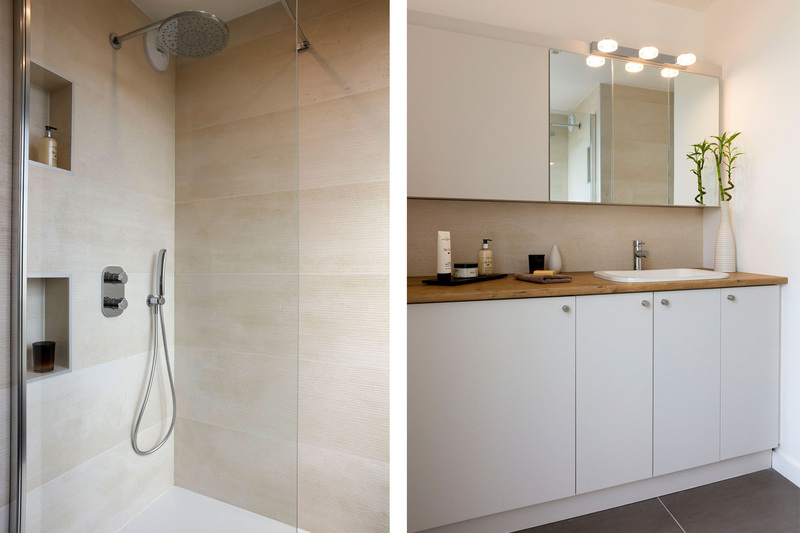 We chose light and natural colors and material throughout the flat. 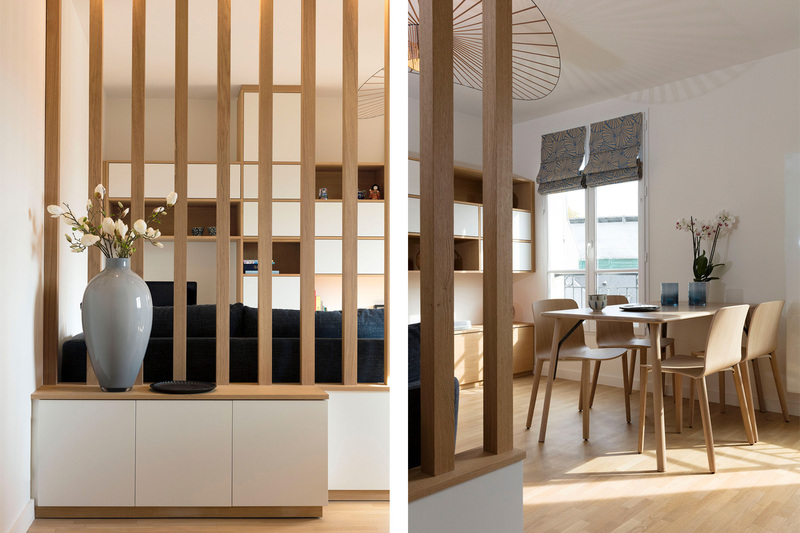 The result: A cosy flat where japanese and scandinavian design meet.